The suspension was completely renewed including new Bilstein Sport shocks, and BAV Autosport springs for mild lowering without increased ride stiffness. 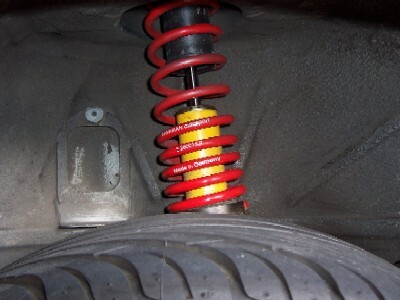 The spring perches were adusted to give the car the right stance and rake. At the front new upper shock mounts, spring pads, front thrust arms with urethane bushings, tie rods, cross link, and anti-rollbar links were installed. The steering box bracket was welded and reinforced. At the rear the SLS system was removed and new upper spring mounts, spring pads, subframe bushings and pitman arms ("dog bones") were installed. Bilstein Sport shocks and BAV Autosport springs were installed on the front. The upper shock mounts and spring pads are new. New front thrust arms with urethane bushings were installed. 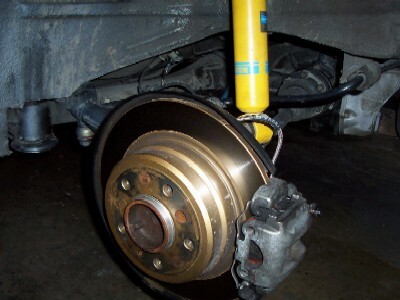 The tie rods and center link are all new. The anti-rollbar links are new. 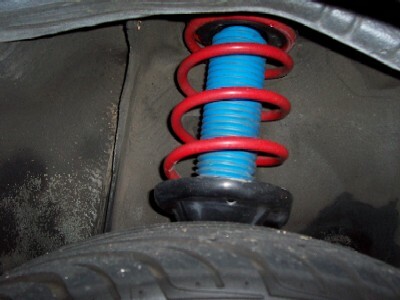 New Bilstein Sport shock and BAV Autosport spring at the rear. New BMW upper shock mounts and hardware was used throughout. The SLS system was removed, including the pump system in the spare tire well. 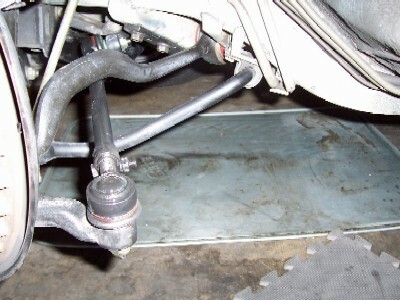 The rear subframe bushings and the pitman arms, "dog bones" are new.